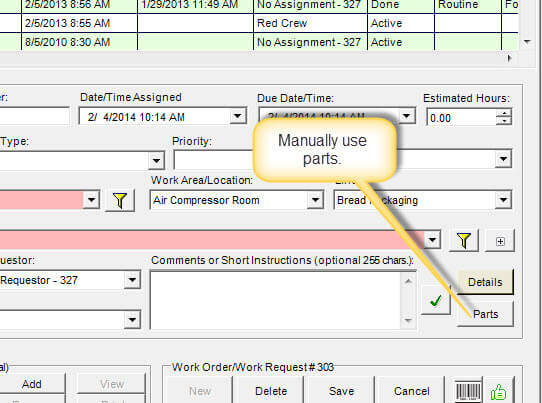 Work order program tips and shortcuts help the maintenance manager to create work orders quickly and consistently. What Makes a Good Work Order Program? Work order programs are the basis of any good CMMS software program. Since this management of a work order program is where most maintenance mangers spend most of their time, it helps to have utilities that add consistency and, at the same time, speed up work order creation. Below several useful features are listed. Duplicate a exact copy of a work order. Duplicate then edit a work order. Work order duplication and file attachments. What is a work order template? Linking parts to work order templates. Scheduled bulk printing of work orders. 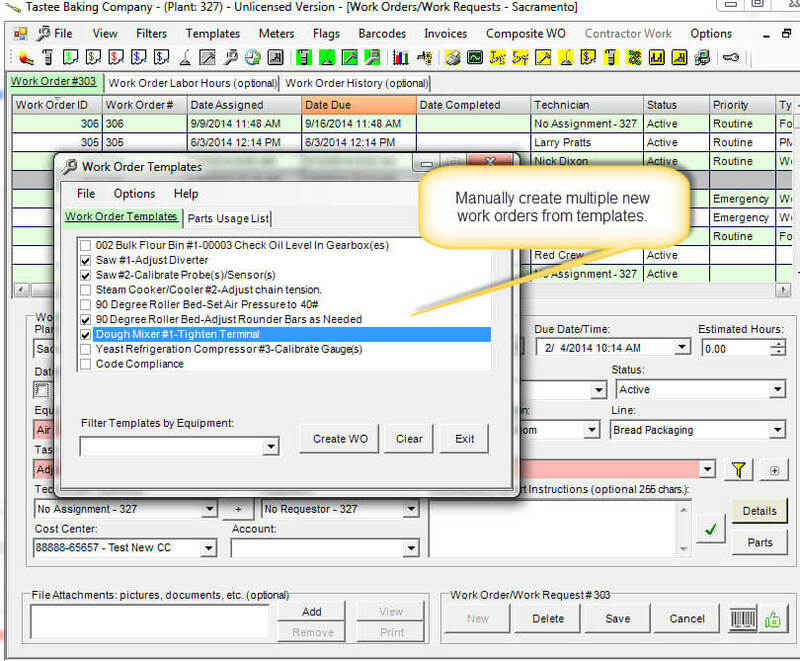 Work orders are easily duplicated by left-clicking a work order row in the work order screen then right-clicking to display the pop-up context menu containing the Duplicate Work Order menu. Work order program duplication capability copies all fields including detailed instructions. All file attachments are also duplicated. The new resulting work order is identical to the original in every way except that the new work order has a unique number and the current date/time as expected. When a near duplicate is needed it is much faster to simply duplicate a work order that uses similar fields as the new work order. After duplication simply select the new work order for editing, make needed change(s) then save. All needed components (job description and parts list) contained in one document. Cost of work is easily reported as is overall cost of equipment maintenance. Parts may be automatically used but are still easily returned to stock if needed. Work order templates are boiler-plate copies of existing work orders that may be used to create identical new work orders from. There are three ways to create a work order from a template. Manually create work orders from templates. Automatically create work orders from schedules. Automatically create work orders from meters. Work order may be automatically generated by schedule or by equipment demand. 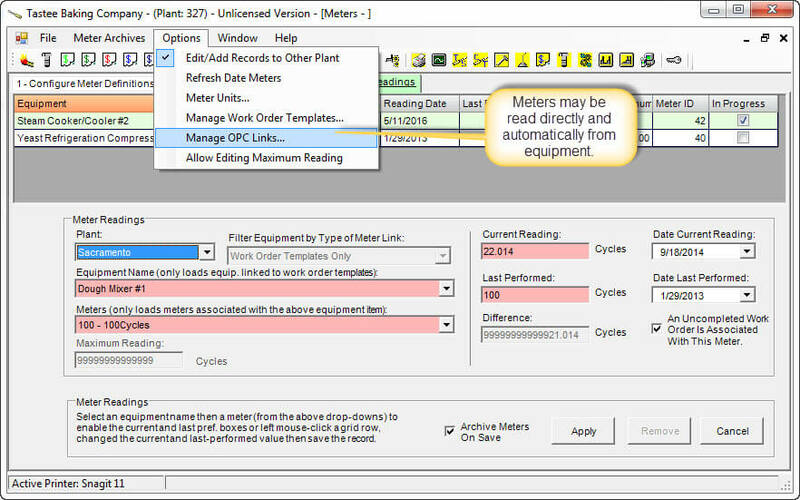 MaintSmart work order program can even read data from a PLC or HMI through an OPC compliant data server and generate work orders based upon equipment condition without any user input. Every Monday at 8:00 AM. On the 15 of every month at 4:30 PM. One the 3rd Tuesday of each month at 7:00 AM. Every 21 days at 3:30 PM. The above are simply examples. Any variation of the above examples are also easy created and used in minutes. These schedules are reusable too. Once these schedules are linked to a print job they will continue to always create the right work at the right time! 6 months or 6000 miles. Anything you need - you define it. Meter reading are either manually entered or may be read automatically through an OPC compliant data source. An example could be read cycle count from a PLC memory address. 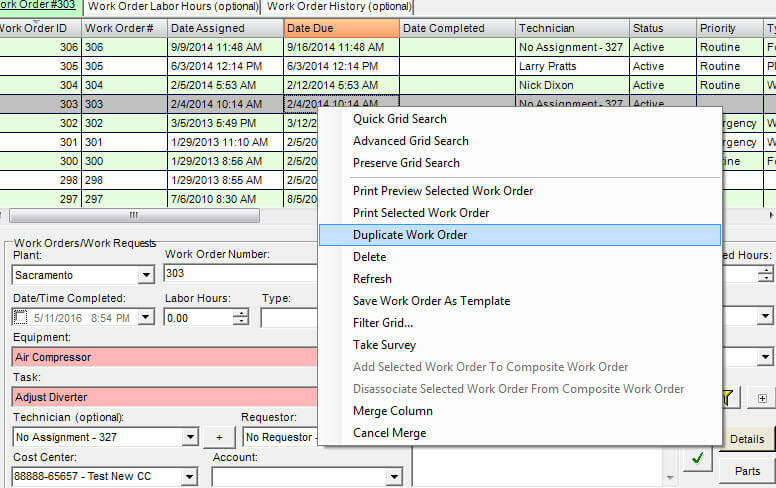 Choose from any of the available work order formats for creating automated (scheduled or metered) work orders. Work Order with parts and Details (most popular). Work Order with Recent Downtime. Extra sheet with extra technicians. Contact us for personalized CMMS training on any of the subjects listed above.